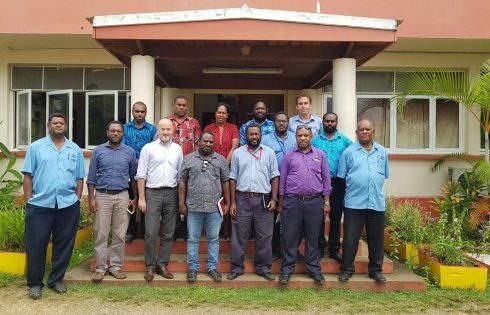 The Vanuatu Daily Post – A week-long consultation on eTrade conducted by Sven Callebaut, from the United Nations Conference on Trade and Development (UNCTAD), and Fred Samuel, the local contractor. eTrade is defined as “…the sale or purchase of goods or services, conducted over computer networks by methods specifically designed for the purpose of receiving or placing of orders”, was held at the Department of Trade and Industry Conference Room last week. The Trade Development Division would also like to inform the public that the first National Trade Development Meeting will be held at Melanesian Hotel on April 11, beginning at 8.30am.